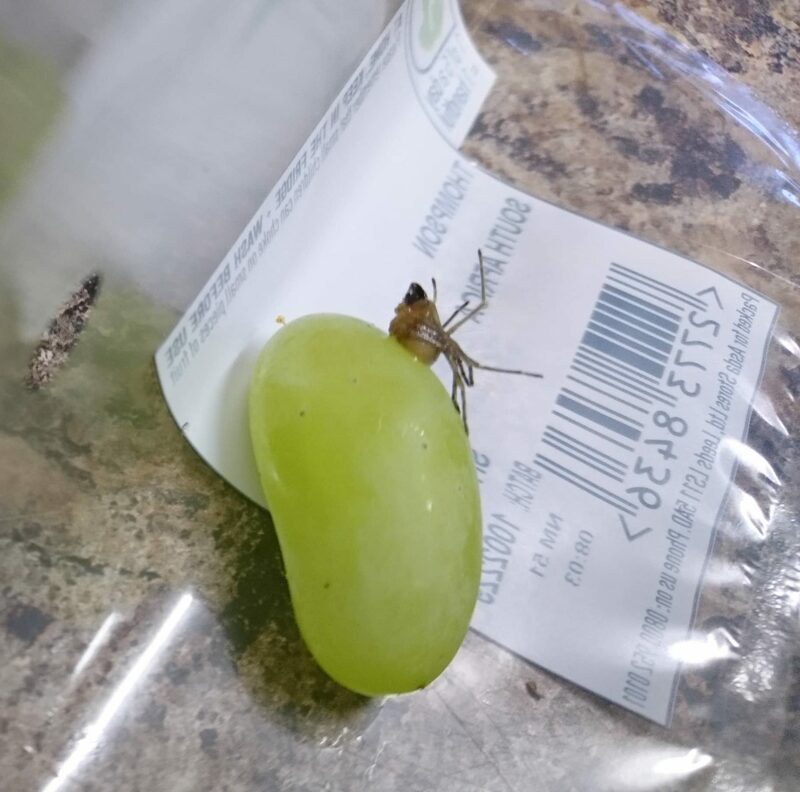 Found this spider in a bunch of grapes which originated from South Africa. The spider was dead when found. Appears to have a black/dark brown face. First thought is a Long-legged Sac Spider (Cheiracanthium) or something in that family (Eutichuridae) – not enough of the spider is visible in this image for me to be sure of anything though. A shot of the spider from the top down (dorsal) is preferable.